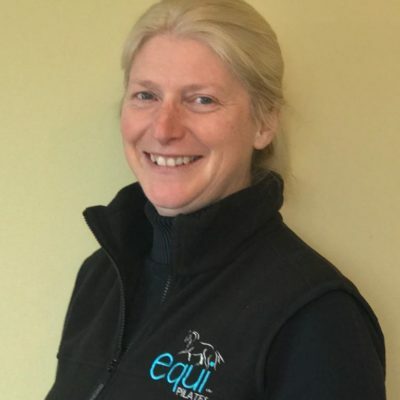 Biographical Info With over 30 years in the Equine industry as a rider, teacher & judge I have been teaching and sharing my work with novices and professionals alike. A life threatening riding injury transformed my life in a way I never expected leading me to study EquipilatesTM, a revolutionary new technique combining Equine biomechanics with Pilates. Working with Lindsay Wilcox-Reid of EquipilatesTM & Rachel Rafiefar of the Thoughtful BodyTM I have achieved my EquipilatesTM Affiliated Instructor, YMCA Level 3 Mat Pilates and Equipilates Biomechanics Trainer TM qualifications. Already I am able to take riders on a new voyage of discovery with their body through Pilates Matwork using the biomechanics techniques to help them be aware of their body imbalances and recover from injuries. Through this work you will be able to improve functional strength, flexibility, elegance and balance to enhance your life and for those who enjoy the passion of riding, for the benefit & welfare of your horse. I am continuing my own training, working with Rachel Rafiefar of The Thoughtful Body on the Reformer!